Food Technology is the combination of technology with food. Food is basically the substance that is needed to make us alive. Food is the plant, animals, vegetable, milk, glucose and many things what we eat. Technology is the method of working with latest engineering approaches & technique. Food technology a branch of science that deals with all technique and activities involved in preserving, processing and manufacturing the food material. Food Technology comprises all techniques and processing method to manufactures, preserve and process the food and its related constituent. Food technologists work in food research and development to ensure the quality and safety of food products. The aim of Food technologists is to focus on discovering the different ways to keep food fresh and to renovate the food into products that can be produced on a large scale. There are numerous functions for Food Packaging such as to contain and safeguard the food, to offer a surface for information labels, to add a different brand identity and to present the food attractively so that consumers will purchase it. The packaging area is probably the fastest developing part of the food industry, and one where innovations are constantly being developed. 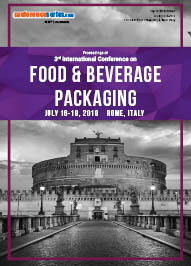 The recent advancement in Packaging Industry is Edible Packaging, Smart Packaging, Anti-microbial Packaging, Water Soluble Packaging, Self-Cooling and Self Heating Packaging, Flavour and Odour and Micro Packaging. The Food Packaging materials can reduce the fungal growth which causes intensification in the shelf-life of perishable food. Extending the shelf-life of food products also means reduction of food waste, and as a result, reducing the rate of global food loss. This will bring about both environmental and economic benefits. Mathematical models of deterioration allow prediction of the shelf-life of foods when the packaging and the circumstances of storage do not change. The packaging can protect the product from outside effects but the modification of consequences on the hygienic state and on the reactivity of the food matrix is limited by packaging techniques. Importing of food refers to the movement of products into EU from countries outside the EU. When the foods are importing into EU it must contain with the general food principles of food laws set. The import of food stuff generally depends upon whether it is an animal origin or not should be grouped for example: Food containing animal products, Food that has no animal content, Composite products. 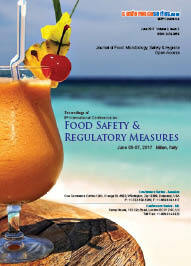 While importing and exporting of food the general principles and requirements of food laws are needed. According to the Article 11-13 the food imported in to EU must comply with the relevant requirements of food law or conditions recognized at least equivalent thereto or, where an agreement is between the Community and the exporting country, with requirements contained therein. All food products go through investigation as an obligatory part of a quality management program throughout the development process, through production, and after a product launch in the market. Food analysis deals with the physical, chemical, biological and sensory attributes of food and drink. It is a significant for quality assurance, regulatory compliance and product development of food. In addition, analysis is done for problematic samples and for contender products. The characteristics of foods such as physical, chemical, and sensory properties are used to revert back for specific questions on regulatory purposes and for quality control. The behaviour of the sample and the definite motive for the analysis commonly dictate the choice of analytical methods. Speed, accuracy, precision, and strength are key factors in this choice. Microorganisms the word itself is made from two words micro meaning small and organism meaning living being. So microorganisms are the tiniest life forms such as bacteria, yeasts, moulds, and viruses. Food microbiology is the study of the microbes that exist and contaminate food. It comprises the study of microorganisms which cause food spoilage, pathogens also cause disease particularly if food is improperly cooked or stored, those used to produce fermented foods such as cheese, yogurt, bread, beer, and wine, and those with other useful roles such as producing probiotics. Food biotechnology is used to develop foods through various breeding and other techniques. Food biotechnology customs about plant science and genetics to improve the food we eat and how it is produced. Latest modernizations in nanotechnology have changed a number of scientific and industrial areas in the food industry. Applications of nanotechnology have arose with increasing requirement of nanoparticle uses in various fields of food science and food microbiology, including food processing, food packaging, functional food development, food safety, detection of foodborne pathogens, and shelf-life extension of food and/or food products. Food security occurs when all people are able to access enough safe and nutritious food to meet their requirements for a healthy life, in ways the planet can sustain into the future. However, food security faces a number of challenges across both production and consumption which research will be essential to solve. The role of packaging in food security is paramount. 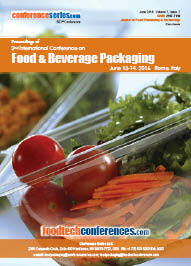 Perhaps no other aspect can play the role of packaging when it comes to safeguard food safety and security. The role of packaging in food security can be understood at its barest from the fact that packaging saves the product from rotting, contamination and a host of other undesirable changes. The frozen food industry is growing exponentially. Consumers are searching for eminent options for frozen fruits, vegetables, and meats. It’s a convenient, cost-effective way for consumers to enjoy healthy meals with ease. Freezing food preserves it from the time it is prepared to the time it is consumed. It slows down decomposition by changing residual moisture into ice, inhibiting the growth of most bacterial species. For food manufacturers looking to capitalise on this trend, packaging has never been more important. It needs to differentiate the product in the freezer aisle and be robust in the hands of the consumer, as well as on filling lines. The Frozen Food Packaging Challenges are Durability, Flexibility and flavour. Baby food products need to be well-preserved with supreme care. Due to absence of preservatives in baby foods, they can tend to get out-of-date even before they reach the consumers. Thus it leads to wastage in food, resources and money. The greatest concern is to find the right packaging which preserves the inside substances in the most secure way, and thus lead to extend their expiry. Food supply and value chain management are becoming increasingly important within the rapidly evolving industry. It is a sequence of progressions, operations and entities that help to take the food from its raw material state to our plates is known as the food supply chain. The processes include production, processing, distribution, consumption and disposal. A supply chain is a complex network of producing, gathering, supplier, distribution, and logistics facilities that perform roles like collection of materials, transporting these materials into intermediary and finished products, and finally distributing the products to customers. Supply chain management (SCM) is the controlling the movement of goods and services. It encompasses the movement and stowing of raw materials, work-in- process inventory, and finished goods from point of source to point of consumption. Food is administered by a complexity of laws and regulations which has established the government’s requirements to be fulfilled by food chain operators to make sure that the food is safe and of satisfactory quality. 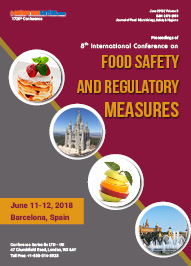 Generally “food law” is used to apply to regulation which standardizes the manufacture, trade and management of food and hence shields the regulation of food control, food safety and relevant aspects of food trade. Least quality requirements are integrated in the food law to ensure that the foods manufactured are not adulterated and are even not subjected to any falsified performs anticipated to betray the customer. These days sustainability packaging is a major global trend in the packaging industry as consumers constantly search for healthier food preferences and also in a search of the manufacturers whose pioneering packaging and developments positively influence the surroundings and the quality of their goods. So, sustainable packaging is simply packaging that may be composted, recycled and reused. Nowadays we can certainly see manufacturers put more emphasis on packaging technologies and trends that allow for the reduction of waste and provide a safer product while enhancing their brand message. Sustainable packaging is the use of packaging which results in better sustainability. This comprises of the increased use of life cycle inventory (LCI) and life cycle assessment (LCA) to help guide the use of packaging which reduces the impact on environment and ecological footprint. Sustainable packaging is a moderately new addition to the environmental concerns for packaging. Packaging is the science of surrounding or shielding products for distribution, storage, sale, and use. Packaging pharmaceutical products is a broad, encompassing, and multi-faceted task. Pharmaceutical packaging plays an important role in certifying the proficient distribution and finally, the safe consumption of the world's drug supply. Pharmaceutical/ Medical packaging is defined as the collection of different constituents which encompass the pharmaceutical product from the time of manufacture till its use. Pharmaceutical packaging or Medical packaging is the packages and the packaging processes for pharmaceutical preparations. It includes all the tasks from production through drug distribution channels to the end consumer.